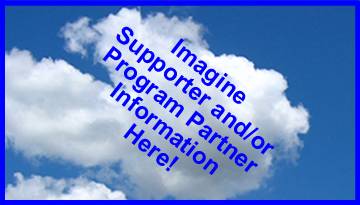 Our goal is to share resources. We are gathering resources to help people start new troops, run small troops and support under-resourced troops. 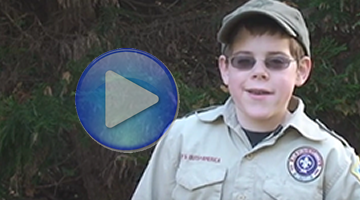 Wouldn't it be great if your soon-to-crossover Webelos could see a marketing video actually produced by someone of similar age and interests? While this video displays our particular troop number, it's still a great 2 minute piece produced by a Tenderfoot. You should think about presenting this to the local cub pack as they are making their decision to cross over and transition to Boy Scouts. 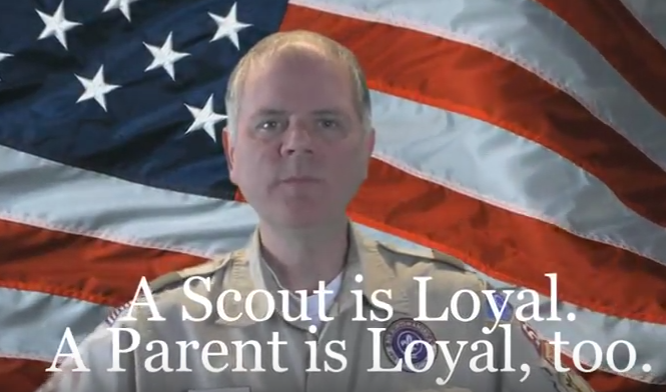 To grow your troop, you need to market the parents as well as the Webelos. This video may have been made in the UK, but it touches the right chords in American Parents, too. Well worth the 6 minutes! This video was shared by Walter U. through the Talk About Scouting! Facebook group. Scoutmasters, are you overwhelmed and so busy that you don't have time to ask for volunteers or don't know how best to ask? You might want to send a link to this 60-second video to every parent. It worked for us. How to Become an ASM in 10 Easy Steps If you want parent participation, ask them to "put on the tan shirt." You can help them do that by giving them this 4 page document on how to become an ASM in 10 easy steps. This is a GREAT document to hand the parent who asks "what can I do to help?" Parents Welcome Guide One of the best ways to get parents involved is to help them understand how your troop works. This welcome guide goes a long way towards getting them to volunteer. 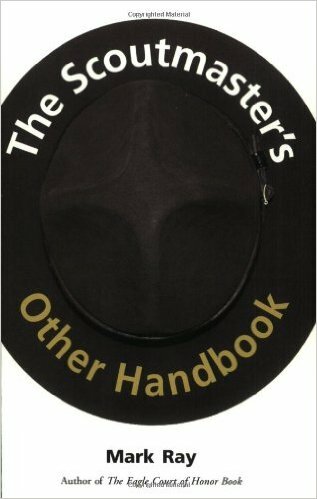 The Scoutmaster's Other Handbook is an excellent resource. This down-to-earth book offers hundreds of proven ideas for building strong, successful, sustainable troops that achieve the full promise of Scouting. The book moves through every aspect of troop meetings and outings to fundraising and administration and more. ASM Patrol Mentoring Form Mentors are made up of teams of adults, because adult leaders are volunteers and don’t always make it to all meetings. By assigning multiple mentors to each patrol, there is a much better chance that at least one mentor team member will be at each meeting. Patrol Mentoring is a great role to give a parent when they come ask “What can I do to help?” This form helps the Scout Master keep track of who is mentoring which patrol. TroopResource manages our own Facebook page, too. It is called the "Global Troop Town Hall" and is currently filled with inspirational quotes and links to the archives of our Live TV show. How to Plan an Eagle Court of Honor Once your Scouts has achieved the highest rank in Scouts, it is time to celebrate! This documents helps you plan that Eagle Court of Honor. Camping Trip Tracker The camping trip tracker is a form a Patrol Leader uses to the Scouts in their patrol who will be going on a trip, tent buddies (and who is going to bring the tent), whether each Scout has a signed permission slip, has paid their fees and contributed their funds for food shopping. Camping Gear Checklist This is a very useful check list for Scouts who either don't know what to bring on a camping trip, or don't remember. Trip Procedures FOR PARENTS This is what every parent needs to know about getting your Scout ready for trips including drop-off times, pick-up locations and everything else parent-related. What to Expect on Your First Camping Trip This is a really nice document written in kid-friendly language that explains to new Scouts what to expect on their First Camping trip. Highly recommended. Monster Box Checklist A "Monster Box" is a 25-30 gallon tub with handels that lock down the lid. These are used to hold all the cooking and cleaning supplies a patrol needs on a camping trip. This document is a list of the items used to inventory the Monster Box before a trip and a reminder that all items need to be clean! 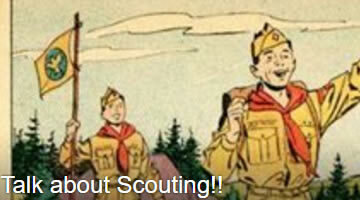 The Patrol Leader assigns the Scouts who are to do the pre-trip inventory. Patrol Duty Roster This form is used by the Patrol Leader to record who has responsibility for cooking and cleaning for each meal on a trip. Experience shows that this form IS A MUST and needs to be completed pre-trip and written down, otherwise Scouts often "disappear" at cleaning-time leaving a Patrol Leader trying to recruit Scouts after they have eaten for a job no one wants to do. This form helps prevent that type of failure. Patrol Menu Planner This form helps the Patrol plan their meals as well as some of the preparation notes. This form needs to be completed before a Shopping List can be created. Patrol Grubmaster Shopping List For each trip where meals are planned, shopping needs to be done. This form helps the Patrol Shoppers create their shopping list for all the meals, they also learn how to estimate the costs, valildate them at the grocery store, and know when the items they put in the shopping cart will exceed the funds collected for trip food. A Parents Guide to Summer Camp This is an amazing document that take Parents on a journey through the joy and reasons for attending summer camp, how best to prepare for summer camp and how to make paying for summer camp easier. Summer Camp is a VITAL part of the Scouting Experience. Our experience is that Scouts are much more likely to stay in the Scouting program if they attend. In addition, they are much more likely to achieve the Eagle Rank if they attend. BSA Medical Forms Part A, B and C These forms are current as of 2017. They are REQUIRED for EVERY SCOUT (and Adult Leader) to participate in Summer Camp. Pre-Summer Camp Swim Test Form Adult Leaders will use this form to test and record the results of pre-camp swim tests. Our troop contacts a local school with a pool every year and schedules a life guard to be present while we give the Scouts their swim tests. It is very, very useful to complete the swim tests prior to going to summer camp, otherwise your Scouts will wait in long lines in the hot sun. This particular form was issued by the Cradle of Libery Council. Your council may use a different form. Leadership is learned through doing. However, it's hard to do if you don't know what's expected of you, especially during your first few weeks in the role. There are plenty of official leadership books and trainings. Yet, there is often a gap between the day you "take office," and the day you take the training. This link was shared by Barry W. from Troop 512. Earning Merit Badges is different from earning Cub Scout Patches and Belt Loopps. This document is kid-friendlly and has also proven very useful for PARENTS of new Scouts, too. Do you know of a good product/service/resource/link? Why not send it to us to review at Scout.Info@TroopResource.org. Check back soon for more resources and send us links to some of your favorites at Scout.Info@TroopResource.org.